To many, one cabinet in the laundry would seem like a luxury. Any storage you can get is much appreciated. 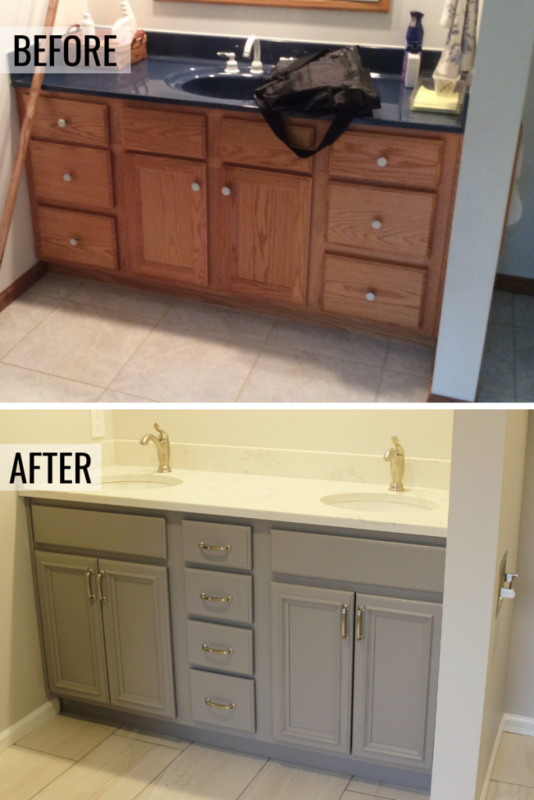 If you have a large space and want a complete look but don’t want to fill it completely with cabinetry, you have some creative options. 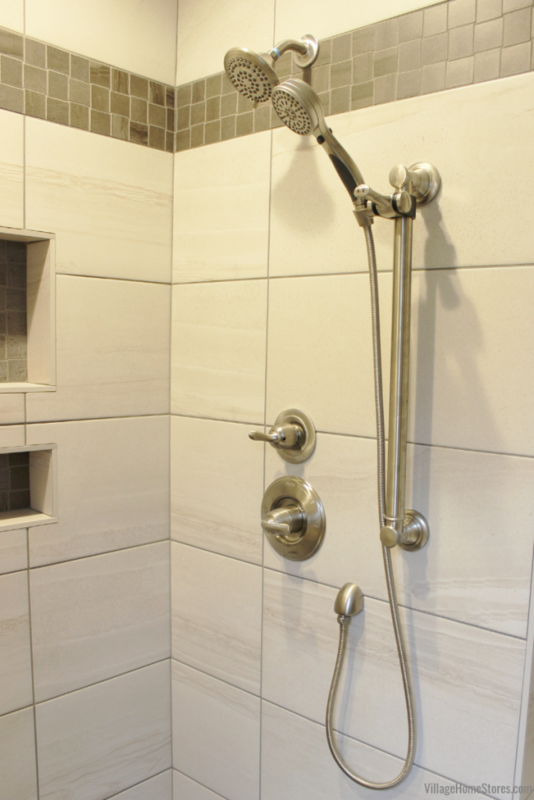 Spread out and use your space strategically. 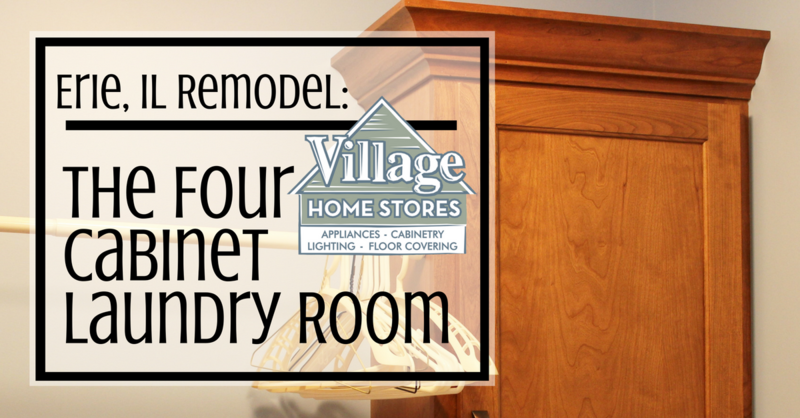 This laundry room tour shows us that just four cabinets and some trim can create a fully finished off laundry space worthy of your Pinterest envy. 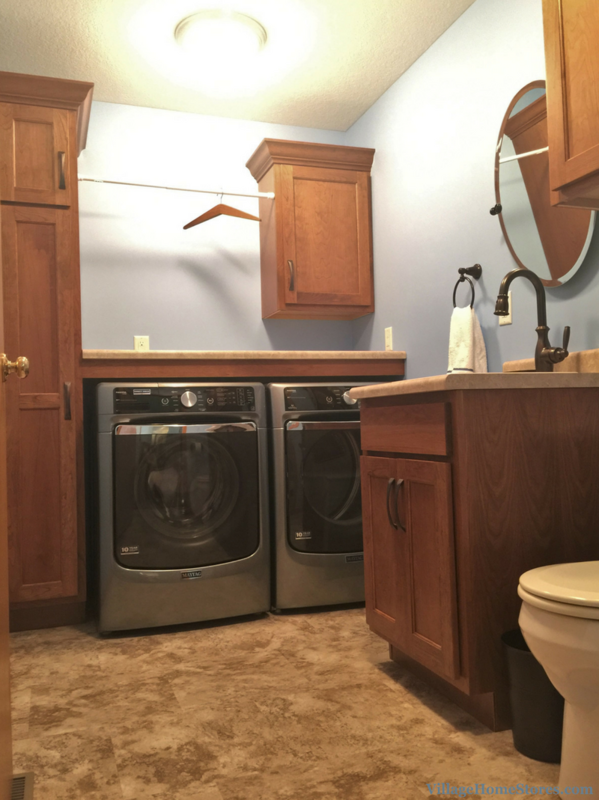 This laundry room looks complete and well thought out. 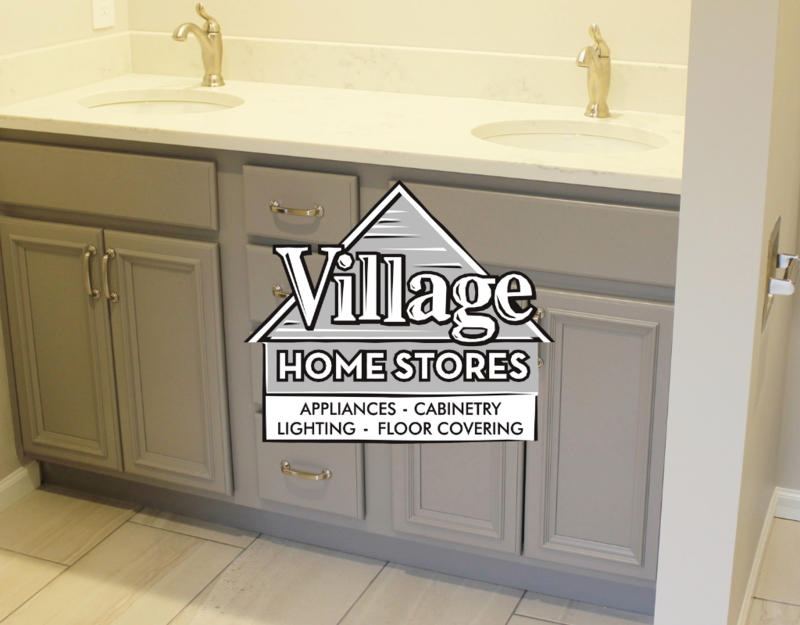 Our designer at Village Home Stores was able to fill the space with a functional layout using only 4 cabinets and some trim. A tall linen cabinet and single wall cabinet have been installed on each end of the wall that greets you upon entering. 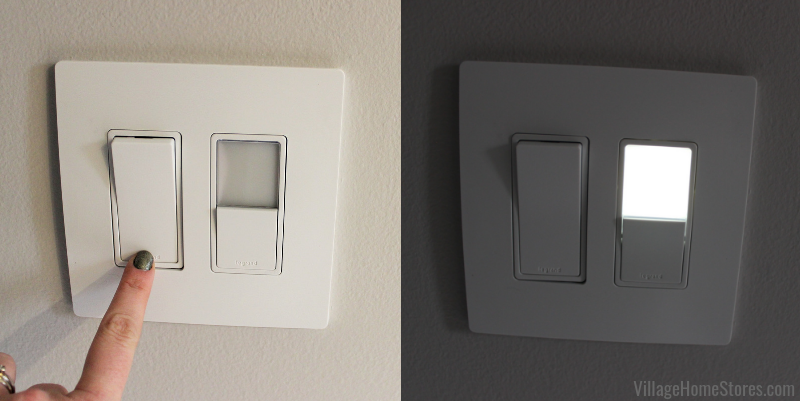 That leaves the perfect void of space between them to add a tension rod for hanging items to dry. Including a hanging rod in the design frees up space elsewhere that a drying rack might have needed on the floor or countertop. 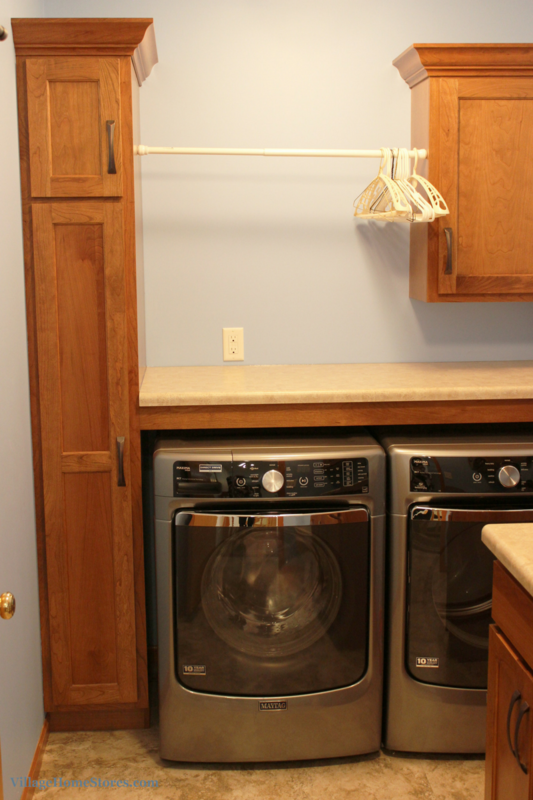 Now the entire countertop space can be used as a folding and sorting center in the laundry room. 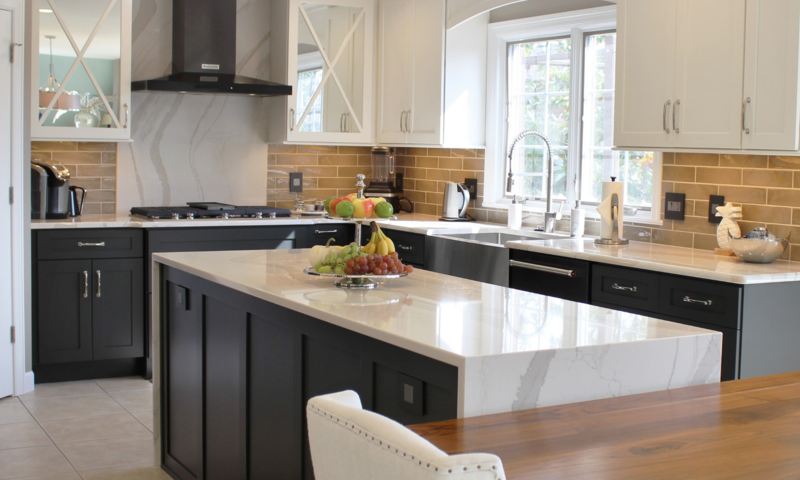 Even that countertop looks like a customized area because a cherry filler strip has been added below the laminate as an apron valance. The laminate top itself is supported by cleats along the wall. 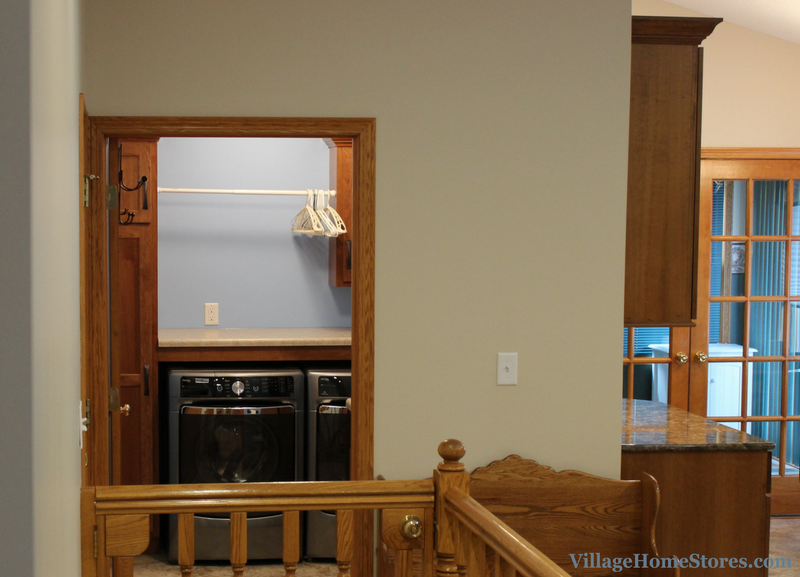 There is plenty of space below for the Maytag front-load washer and dryer. 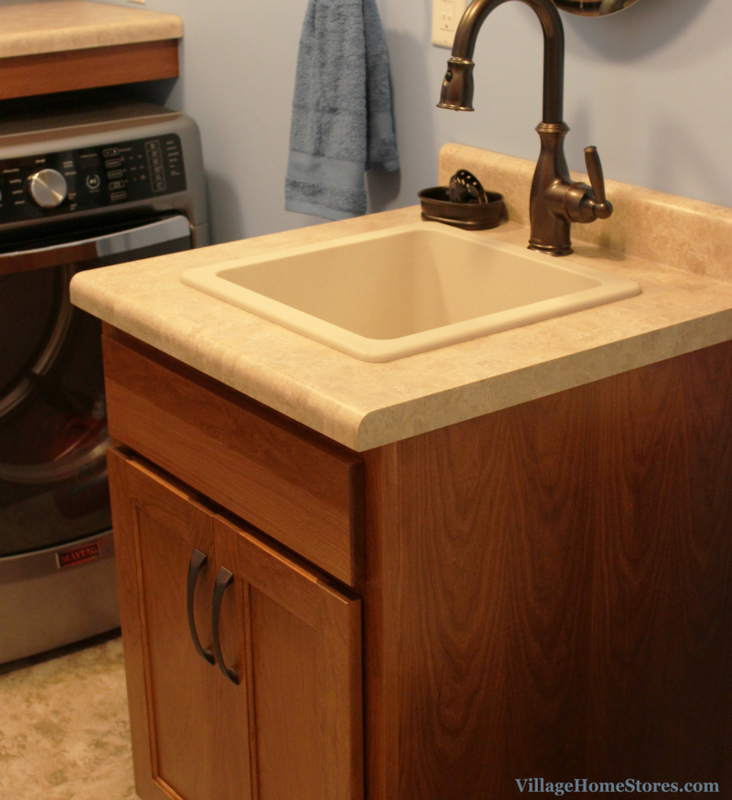 This same counter and apron application can be used in a desk area or craft room space. The third cabinet included is a sinkbase. 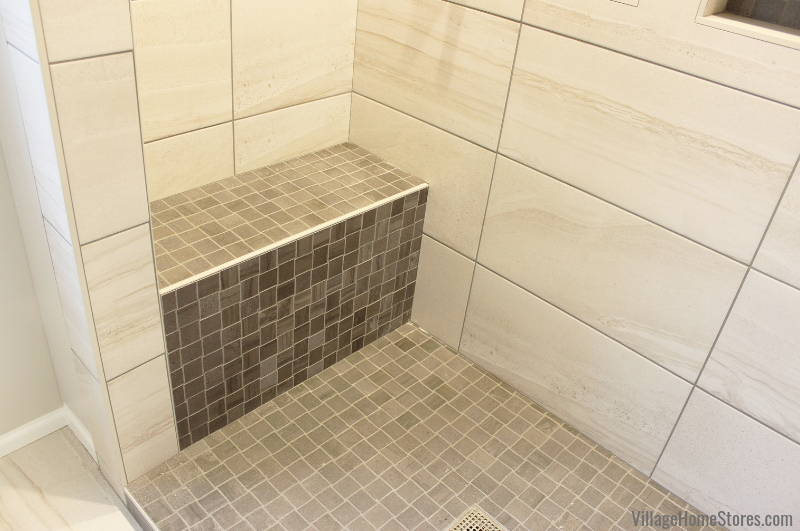 A laminate top with drop-in deep single-well sink is perfect for this multi-purpose space. 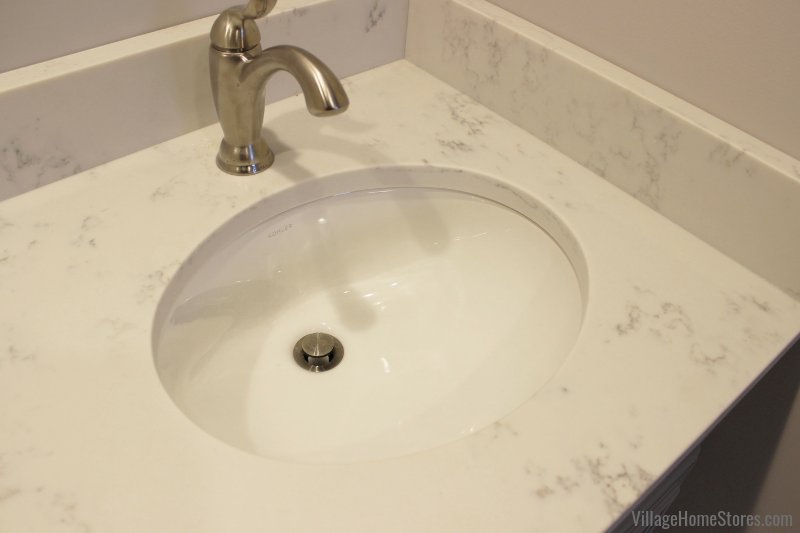 The function of a utility sink, but also a nice look when this space is used as a guest powder room. 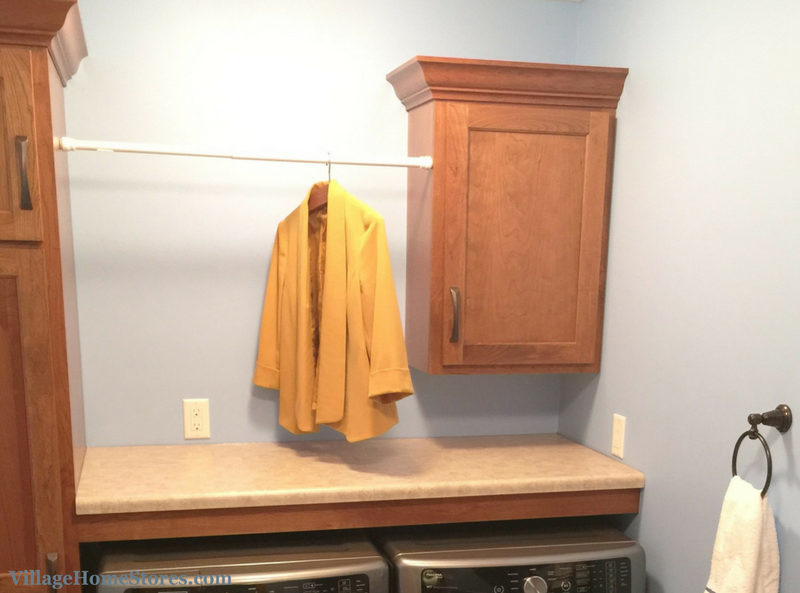 The soft blue paint color selected is a great look and the perfect choice for this laundry space. 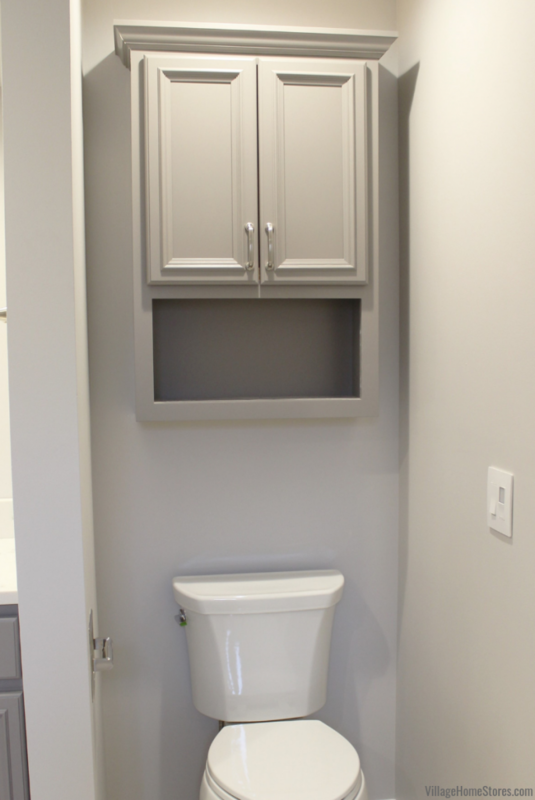 There is a toilet located to the right of this sinkbase and above that, another wall cabinet. Plenty of areas to store items out of sight. 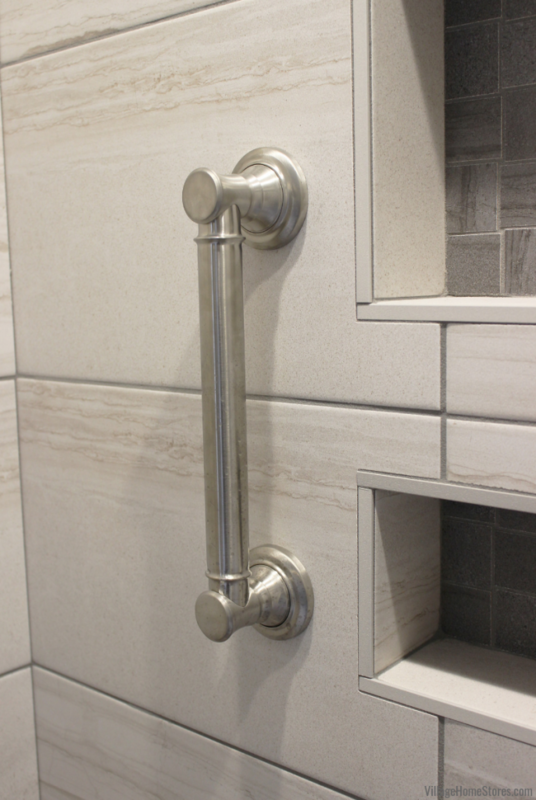 This is a great option to have in such a versatile space like this room. 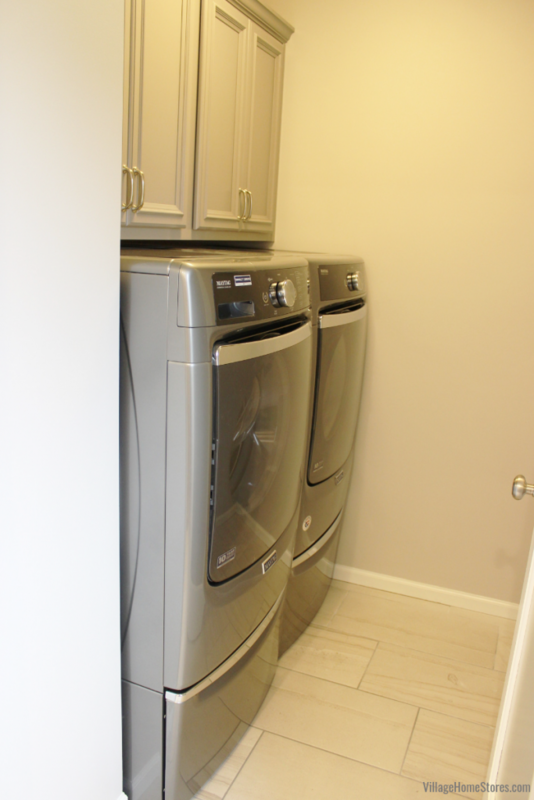 See more images (including before photos) from this laundry space and the kitchen just outside here on our houzz page. 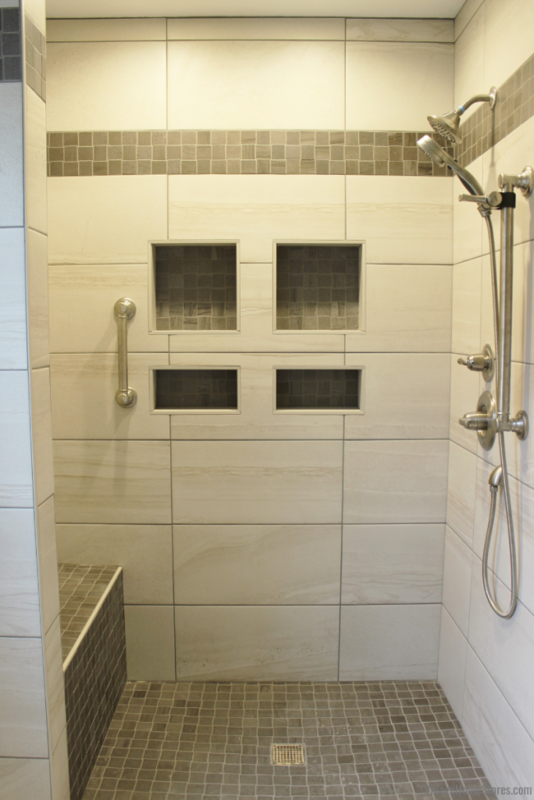 Are you looking to remodel your kitchen, bathroom, or laundry area? We would love to help you make the most of that space. 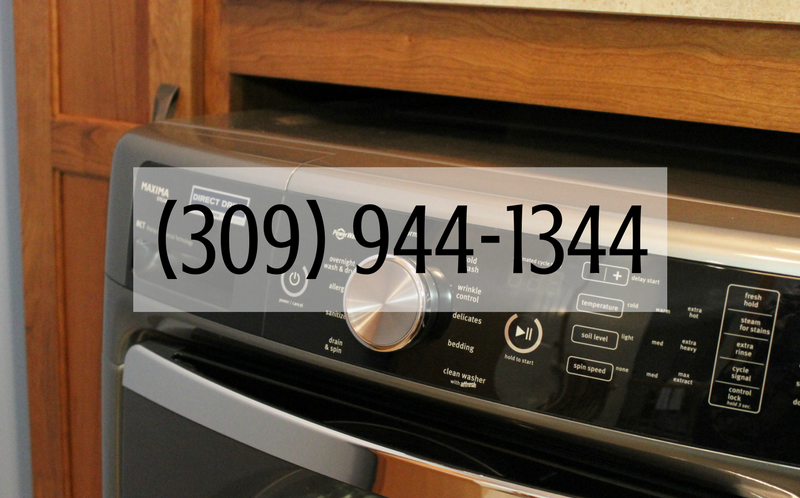 Call or click today to make an appointment and get started. 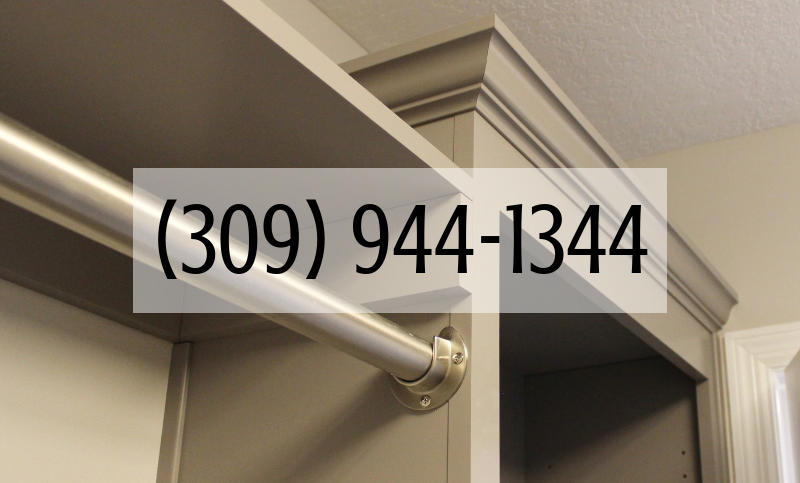 (309) 944-1344.